Home » Technology » VOIP Delay – Factors and How to Get Rid of It? VOIP Delay – Factors and How to Get Rid of It? VOIP delay or the latency is the delay in receiving the voice over the internet between two callers. This leads to poor audio quality and user frustration. Voice Over Internet Protocol (VoIP) is a well-known technology that facilitates voice communication over the Internet. It requires high-speed internet connectivity for this purpose, in place of an analog phone line. Your voice is transformed to a digital signal by the VoIP services and sent as packets over the internet to the destination. The VoIP packets must arrive in real-time for experiencing an intelligible conversation, and this is challenging for VoIP to provide an excellent audio quality level. But, often there arise situations when the packets take more time to reach the recipient than expected. This is known as delay in VoIP. The delayed packet may reach the recipient much later or, sometimes, may not arrive at all. This delay (or lag, or latency) is a serious problem for voice calls and hampers communication. There has been extensive research on encoding and routing voice traffic through IP networks and implementation of widely used algorithms for improving this situation. Yet, the problem cannot be wholly eliminated from the real world networks. You are bound to experience poor VoIP quality, at some point of time, due to one or the other reason. Beware that, some of the VOIP delays could be introduced by faulty or outdated VOIP clients or softphones as well. In this article, we will talk about how latency is measured, when and why it occurs in VoIP, effects of such delay and how to overcome this problem. So, let us proceed. Latency can be measured in two ways – one direction and round trip. One direction latency is defined as the time taken by the packet to travel from the source to the destination in one way. On the other hand, round-trip latency means the time taken by the packet to travel from the source to the destination and from the destination again, back to the source. It is not the same packet which goes back. Instead, it is an acknowledgment. Latency is generally measured in milliseconds (ms), i.e., a thousandth of seconds. A latency of 20 ms is considered normal whereas a latency of 150 ms is scarcely noticeable and still accepted. But anything beyond that can diminish the quality. When and why does the delay in VoIP arise? All packets do not always reach the destination on time. Some of them might be delayed when sent over the network. The packets may either arrive late or may not reach at all (i.e., get lost). Losing information, in this way, while interacting on a voip is bound to generate annoyances for people. Various factors affect the VoIP service and result in the delay of the packets. They are discussed below. Audio latency is made up of two parts – the time required to encode the audio and the travel time of the packet. Latency hampers the interaction between the users. Latency is said to occur when there is a noticeable delay before the other caller on a call responds. A latency of magnitude 150 ms is barely noticeable and accepted. Anything beyond that can degrade the quality. For example, at 300 ms or higher, latency is easily noticeable and callers may lose interest. Latency often results in the ‘echo’ effect. You may have encountered crackly-sounding calls. It is very tough to discern what the other caller is saying under this situation. This situation arises due to “jitters”. Jitter is usually defined as the variation in the delay of received packets. When audio is sent as packets over the internet, they are transmitted in an evenly-spaced continuous stream. When these packets are not received in proper order, it can result in choppy voice or temporary glitches. Jitters can occur due to several reasons like network congestion, incorrect prioritization of traffic or configuration errors. Old hardware may not function appropriately with new software or new networks. You may need to change the phone or the telephone adapter. You may check the headsets which can also introduce latency. Dropped calls mostly damage your operations and they are a big blow to the audio quality. They occur due to poorly planned QoS (quality of service) implementation and insufficient data resources when bandwidth limit is hit. Dropped calls can sometimes occur due to equipment configuration issues too. Codecs are programs that encode voice signals into the digital data format for transmission over the network. If your provider uses a wrong one, you are helpless and can do nothing to change it. Buffering occurs when audio data is being transferred as well as when there is a difference between the time of both the events. Your firewall may be involved in blocking traffic. Again, if internet connection is slow and there is insufficient bandwidth, data packets take a lot of time to travel. So, above are the various reasons that can cause delays in VoIP. You see, delay in VoIP is an obstruction for the communication process between different people. It is an annoying problem. Can you think what the effects of this delay in VoIP are? Let’s see. What are the effects of delayed packets? Delay in VoIP can affect the communication and interaction between users in varying degrees. It slows down the conversations between callers. You may hear the voice of the other much later than you want. Also, you may listen to echo during the call. The synchronization of the entire communication process is disrupted while voice calling and video conferencing. The quality of the calls become awful and inconsistent. Sometimes, packets are lost due to excess delay in their transmission. This may result in loss of crucial information and may cause annoyance. These are different ways in which people are affected by the delay in VoIP. If the delay is small and constant, it is still considered to some extent. But mostly, it is uneven and differs depending on different technical parameters. Let us learn how we can deal with this issue and take countermeasures to reduce their occurrences. How to get rid of the delay in VoIP? The first and foremost thing to do, before adopting any measure, is to figure out the cause of the delay. You may use VoIP Spear services for this purpose and study the variations in the VoIP quality. Once you know the cause of the delay, undertake the right technique to fix the issue. Let us go through some of these techniques. You can simplify your network by bundling your internet and phone services in cases when you have experienced persistent issues concerning call quality. 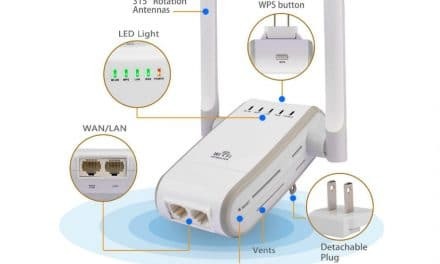 It offers you better network transparency, control as well as effective prioritization of the data packets. Replace your hardware if it is too backdated. Repair any damaged hardware (cable or adapter) to alleviate delays in the transmission. For insufficient bandwidth problems, shut down additional applications that use bandwidth. 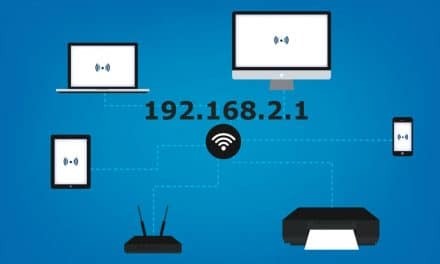 You may update the QoS settings of your router and set the highest priority to voice. Solving jitter problems may require you to increase the bandwidth, prioritize voice calls above internet traffic and resolve some hardware issues. Above are some of the methods that you can undertake for solving the problems related to delay in VoIP and improve the communication. Delay has been an issue in communication ever since Alexander Graham Bell invented the telephone. Earlier, it was merely traditional telephony, and delays were usually due to poor quality satellite connections. Now, with the evolution of digital communication, the delay is faced in terms of untimely delivery of packets through the network. Any effect on VoIP, like delay (or latency), is negligible in a healthy network. However, perfect conditions do not exist, and latency is bound to be present, even if it’s very little in strength. Packet delays are quite natural as they need to travel through a series of routers, switches, and other hardware. Though latency is acceptable to a certain extent, it makes communication very difficult when it exceeds the limit and thus, degrades the audio quality. Synchronization between the interaction of the callers is hampered. Disruptions may be in the form of doubletalk, echo, feedback and speech pauses. To overcome such situations, try to determine the causes that may be leading to delays in your case. Find out if it’s a hardware problem, bandwidth issue, problem with your ISP or something else and try to fix it accordingly. Gzip – How to Compress and Decompress a File? 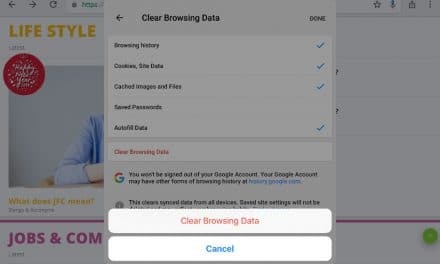 How to Delete Google Chrome History on iPad?